How do you know if your marketing efforts are successful? How do you know if the investment you’ve made in promoting your business is paying off? The key is to test, track, measure, and adapt your digital direct mail campaigns. 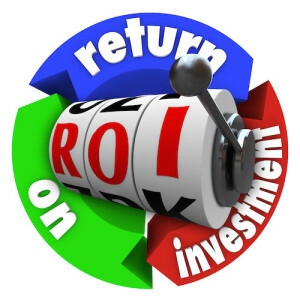 Surveys tell us that marketers who engage in consistent, effective testing can increase their ROI (return on investment) by up to 60%. Old, traditional testing methods have been limited to A/B tests; sending one piece to one group and a slightly different piece to another group to see which one works best. Advances in digital print technology allow you to take this idea much further with multivariate, short run testing. Variable data printing provides opportunities for testing, tracking, measuring, and adapting direct mail with personalization of both text and imagery. Marketers use existing data to formulate their tests via different print versions that are personalized appropriately for targeted recipients. Tracking mechanisms are then applied within the printed piece to measure responses. You can then track the response rate for each version, providing invaluable data to be used for future testing. For example, one version of mail piece may contain an 800 number, while the other may feature a PURL (Personalized URL). Data could show that the 800 number gets more response from men between the ages of 58 and 72 who live in the southwest, whereas the PURL attracted more women between the ages of 34 and 48 who like golf and live in the mid-Atlantic region. By measuring the response data per version, you can extrapolate which versions are successful at eliciting responses from various targets. Use that data to strategize and adapt for future direct mail campaigns. So, when planning single - or multi-channel campaigns that utilize direct mail and print pieces as components, remember that the sky is the limit for using SPC’s digital printing technology to try different options with variable data and short runs. Testing, tracking, measuring and adapting your offers to response rates can start small and grow to be as large as you need to keep your business growing. Now you’ll know that the money spent has a measured return . SPC appreciates every opportunity to help guide and direct our clients through what can appear to be an intimidating process. Bring us into the discussion process early for a brainstorming session on testing digital direct mail.